As I look back on the past few weeks, it’s a wonder that I didn’t get sick sooner. The climax came when I hopped on a plane and flew to Raleigh to see Carolina Ballet, returned to New York two days later to see Equus and write five pieces in a row, then hopped on another plane and flew to Chicago to see two shows. Not surprisingly, a fuse blew toward the end of this nine-day gallop, and by the time I got back to New York on Sunday afternoon, I was sneezing, coughing, and generally feeling awful. I was already planning to take Monday and Tuesday off, during which I’d meant to go see the Metropolitan Museum’s Morandi retrospective. 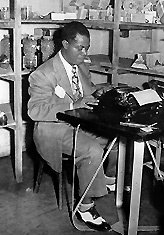 Instead I stayed home, sat on the couch, watched John Wayne movies, drank all the fluids I could choke down, and tinkered more or less effectually with the manuscript of my Louis Armstrong biography, on which I’m about to put the final touches. 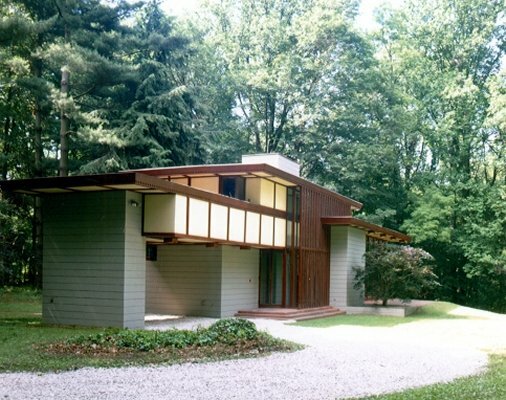 On Sunday morning Mrs. T and I depart for Cleveland, where we’ll be seeing shows at the Cleveland Play House and the Great Lakes Theater Festival, visiting the Cleveland Museum of Art, and spending four nights in Frank Lloyd Wright’s Penfield House, about which much more next week. Busy but not crazy, in other words, and I’ll try to work in some blogging while I’m at it. In the meantime, I appreciate your forbearance. A man’s gotta do what a man’s gotta do, and sometimes he’s gotta take a nap!